Countdown to expected Detroit review: just over a week. We’re literally only a week and a half away from what we believe to be a big deal for Ford truck fans: the return of the mid-size Ranger in the US. Although Ford has yet to confirm anything, we highly expect to see the new Ranger at the Detroit Auto Show this month. 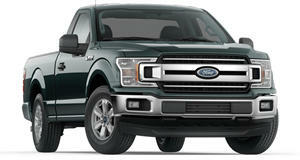 As of this writing, Ford has managed to avoid any leaked Ranger images, so we’ve had to make due with spy photos. However, Thai-language has published several images of what could very well be the real deal. Thing is, the images were taken in Asia, meaning the US market Ranger could also become the new global model. 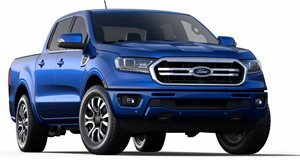 The Ranger, which was has been sold overseas for the past few years, is due for an update anyway, so it’d make sense for Ford to opt for a global design, financially speaking. Looking at these photos, the new front end has a handsome face, adorned with LEDs, a large air intake and fog lights. The blue oval emblem is centered between a pair of chrome horizontal strips. The interior will also be redesigned, but we’ll have to wait a bit longer to see that. Under the hood a variety of engines will be on offer, depending on market. For the US, base Rangers will likely feature Ford’s 2.5-liter inline-four with 175 hp, and the new 3.3-liter V6 from the updated F-150 could be optional. The base engine will probably be paired to a six-speed manual or automatic, while more powerful trims will receive Ford’s new 10-speed automatic. Don’t rule out the possibility for a diesel option as well. And yes, a , and it will , Thailand. Will it be the same as the eventual US-spec version? Unknown at the moment, but answers are coming very soon.